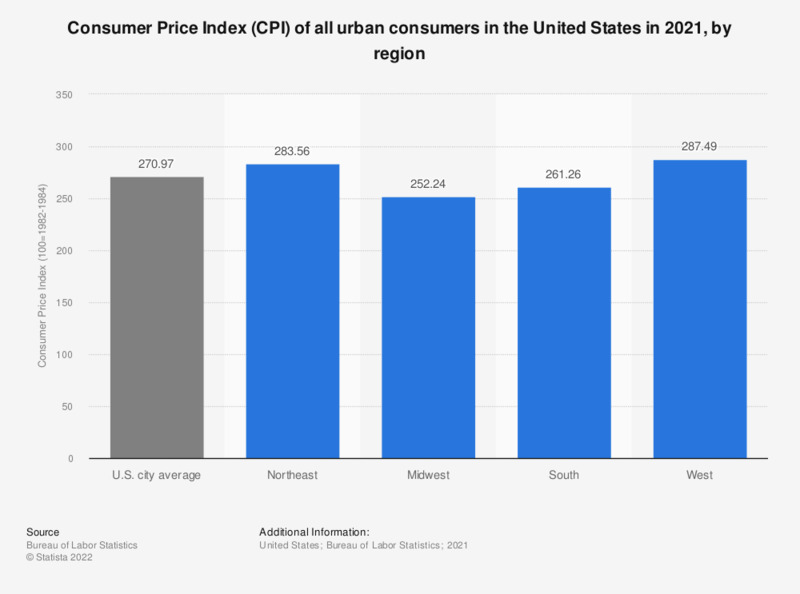 This statistic shows the Consumer Price Index for urban consumers in the United States of America in 2018, by region. In 2018, the CPI in the Western United States amounted to 263.26. The monthly inflation rate for the country can be accessed here and a projection of the annual inflation rate can be found here and the annual consumer price index for urban consumers in the U.S. can be accessed here.